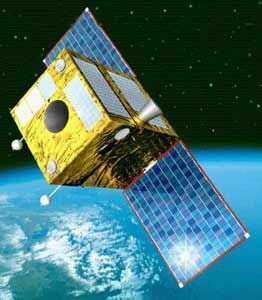 Micro-satellite product line developed jointly by EADS Astrium and the French Space Agency CNES beginning in 1998. AKA: AstroSat;AstroSat-100;Elisa;Essaim;Parasol;Picard;VNREDSAT. Status: Operational 2004. First Launch: 2004-12-18. Last Launch: 2013-05-07. Number: 15 . Gross mass: 125 kg (275 lb). 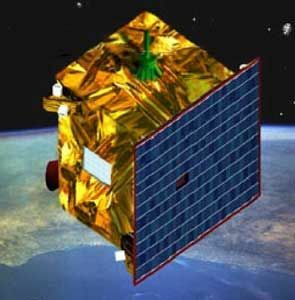 The Myriade program was principally designed for scientific, application and technology missions, in response to increasing demand from the scientific community for quicker, cheaper access to space, with the accent on enhanced payload capacity in terms of mass, power, pointing accuracy, telemetry and processing and orbit control propulsion. The program was also envisaged for institutional or export opportunities. 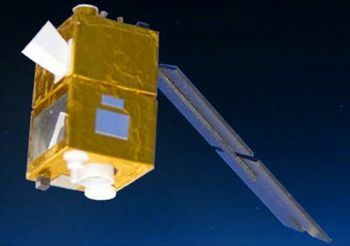 The first mission flying this platform was CNES' scientific microsat Demeter, launched in June 2004, followed by the French MoD system for electro-magnetic environment analysis, Essaim. 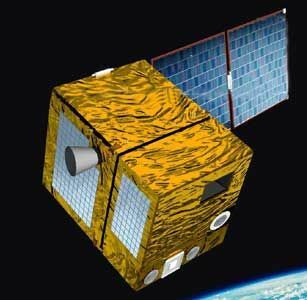 Demeter French earth seismology satellite. 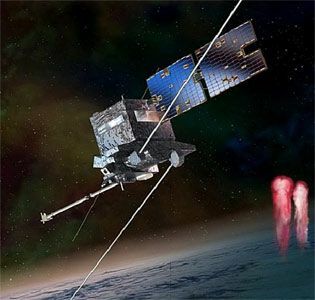 Demeter studied disturbances of the ionosphere due to seismic electromagnetic effects and human activities (power lines, VLF transmitters, HF broadcasting stations). 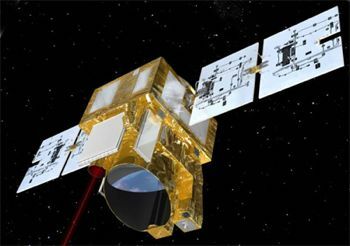 Science, Ionospheic, earth science satellite for CNES, France. Launched 2004. Used the Myriade bus. 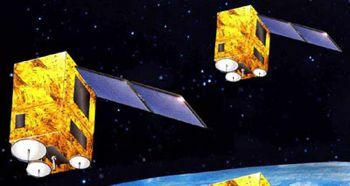 Essaim 1, 2, 3, 4 ELINT satellite built by Astrium for DGA, France. Launched 2004. Used the Myriade bus. PARASOL Parasol carried a wide-field imaging radiometer/polarimeter called POLDER (Polarization and Directionality of the Earth�s Reflectance), designed in partnership with the LOA atmospheric optics laboratory in Lille. Used the [Myriade] bus. 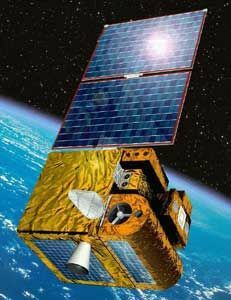 SPIRALE A, B Early warning satellite built by Alcatel Space, Astrium for DGA, France. Launched 2009. Used the Myriade bus. Picard Solar observation payload. Used the [Myriade] bus. AlSat 2A, 2B Earth observation satellite built by EADS Astrium => Airbus Defence and Space for Algerian Centre National des Techniques Spatiales (CNTS) => Agence Spatiale AlgTrienne (ASAL), Algeria. Launched 2010 - 2016. Used the AstroSat-100 / Myriade. Launched 2010-2016. ELISA 1, 2, 3, 4 ELINT satellite built by EADS Astrium for DGA, France. Launched 2011. Used the Myriade bus. VNREDSat 1a Earth observation satellite built by EADS Astrium for Vietnam Academy of Science and Technology (VAST), Vietnam. Launched 2013. Used the AstroSat-100 / Myriade bus. 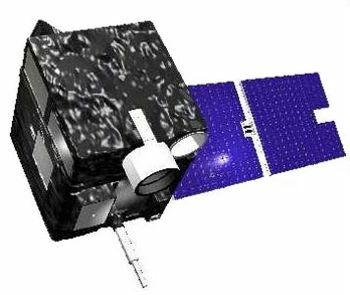 MICROSCOPE Science satellite for CNES, France. Launched 2016. Used the Myriade bus. 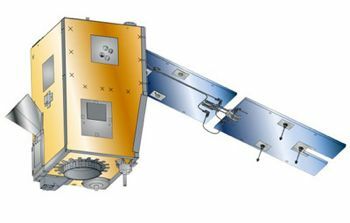 FBM Science satellite built by CNES for CNES, INPE. Used the Myriade bus. 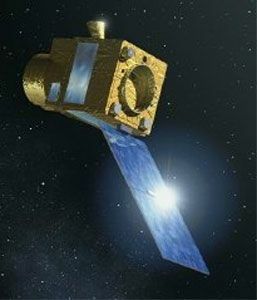 MicroCarb Earth science satellite built by CNES (prime), Airbus Defence and Space (payload) for CNES, France. Used the Myriade bus. 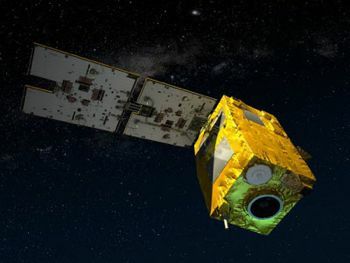 TARANIS satellite Science, satellite for CNES, France. Used the Myriade bus. Family: Astronomy, Earth, Earth seasat, Sun synchronous orbit, Surveillance. Country: France. Launch Vehicles: R-7, PSLV, Ariane 5, Dnepr, Ariane 5ECA, Ariane 5Gp, Soyuz-ST-A, Vega. Launch Sites: Kourou, Kourou ELA3, Kourou ELS, Kourou ELV. Agency: CNES, DGA, EADS Astrium. Bibliography: 2, 6725, 12865. 2009 February 11 - . 22:09 GMT - . Launch Site: Kourou. Launch Complex: Kourou ELA3. LV Family: Ariane 5. Launch Vehicle: Ariane 5ECA. Spirale A - . Mass: 117 kg (257 lb). Nation: France. Agency: Arianespace. Class: Surveillance. Type: SIGINT. Spacecraft: Myriade. USAF Sat Cat: 33751 . COSPAR: 2009-008C. Apogee: 35,693 km (22,178 mi). Perigee: 631 km (392 mi). Inclination: 1.80 deg. Period: 637.60 min. Demonstrator to prove infrared sensors designed to detect ballistic missile launches and other military targets..
Spirale B - . Mass: 117 kg (257 lb). Nation: France. Agency: Arianespace. Class: Surveillance. Type: SIGINT. Spacecraft: Myriade. USAF Sat Cat: 33752 . COSPAR: 2009-008D. Apogee: 35,681 km (22,171 mi). Perigee: 641 km (398 mi). Inclination: 1.80 deg. Period: 637.60 min.